Episode 14 of How to Survive is out of this world! We're talking about survival tactics for Matt Damon in The Martian (2015). 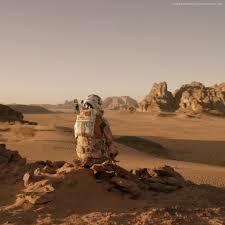 The Martian tells the story of Mark Watney, a Mars astronaut who is left behind on the planet after an accident. He must spend the next few years surviving against the brutal Martian elements while his pals at NASA think of a way to get him home. We talk about how believable each character's portrayal is, how to exploit real-world scientific phenomena to survive in the movie's fictional events, and the monumental collective cost of saving Matt Damon in all of his movies. Whatever happens, one thing's for sure... Chris and Joe are steely-eyed missile men.